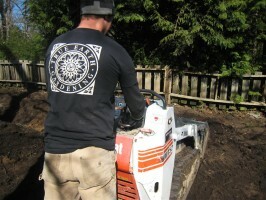 True Earth Landscapes is a partnership owned and operated by Tobin Brown and Kit St. John. Over the last 10 years we have focused on offering a complete landscaping service. We are a small and growing company in Victoria, BC. We take pride in the work we do, and because we are small, you will always receive our full and individualized attention. 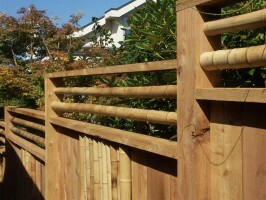 We can see your project through from design to construction and also offer landscape maintenance. Our inspiration comes from a desire to work with nature. Our goal is to create beautiful, functional landscapes that will enhance the value of your property. A 2 year Horticulture diploma through Kwantlen University College. Studies included topics as diverse as soil sciences, AutoCAD, Arboriculture, hardscape installation, and irrigation. Other recent training includes a rock wall building course, tree climbing and work positioning, and a landscape management seminar. We obtain relevant certifications such as from the International Society of Arboriculture (ISA) and BCWWA Cross Connection Control (for drinking water safety when installing irrigation). As members of the BC Landscape and Nursery Association, we are kept informed of industry standards, the latest trends as well as new training opportunities. We ensure that our crews are equipped and trained to work safely. True Earth Landscapes strives to offer a complete list of services, from the maintenance of an existing garden to the design and installation of a new landscape. Our present equipment includes a Bobcat MT52 which is a mini track loader ideal for getting into tight backyards.